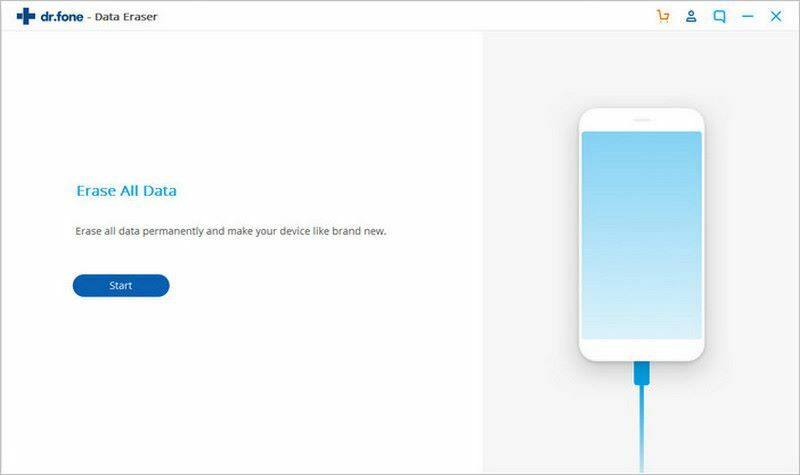 No matter you plan to resell your Android phone/tablet or donate them to someone, you should firstly delete your personal data completely such as contacts, photos, e-mails, videos, call history, just to speak a few. However, the manually deleted files on Android are easily recovered, particularly under the help of some professional recovery tools. 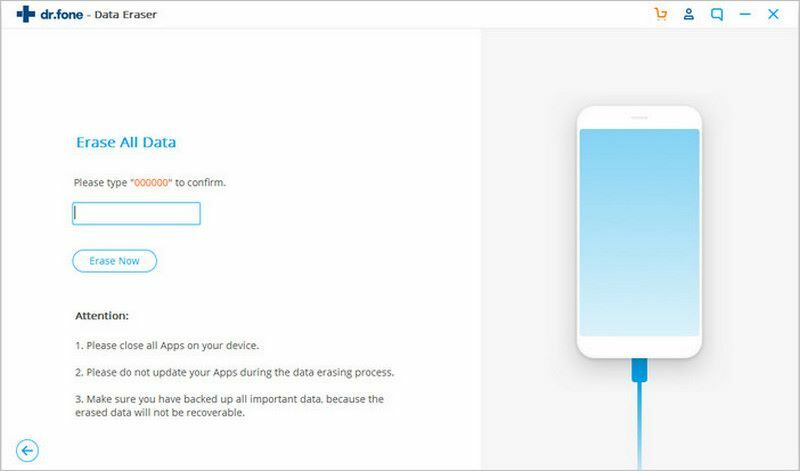 In response to this, the iSkysoft Toolbox-Erase is created to make sure you erase data on Android permanently and it can’t be recovered by any means including professional recovery Apps. Please start with downloading and launching the iSkysoft Toolbox on your computer and select the “Erase” section from the application menu below. Next, you need to plug your Android device to the PC to prepare for erasing data. Besides, please enable the debugging option on device if you receive a message on phone asking you to do so. Move on to hit the “Start” button as shown below to begin erasing all the data on your android phones or tablets irrevocably. Next, you need to confirm the data delete action by typing in “000000” and then tap “Erase Now” to proceed with erasing data permanently. 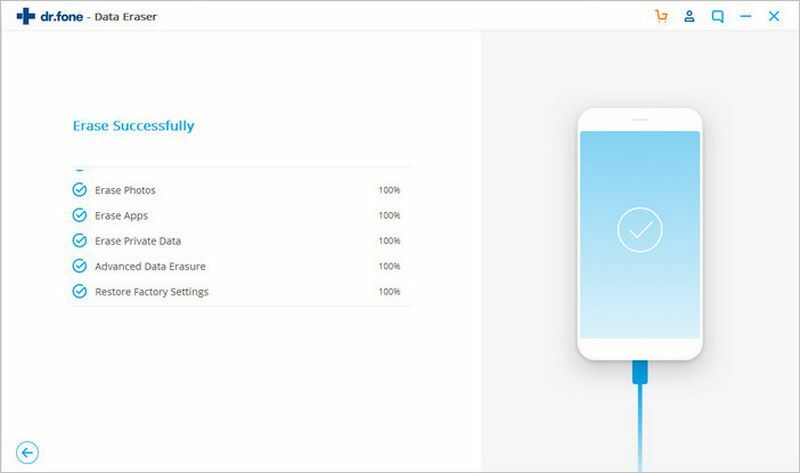 As the iSkysoft Toolbox will delete all of data and settings on Android, you had better make a backup of important data in advance because they won’t be recovered by any means after being erased. The whole erase process will take some time which varies on the size of stored data on device. The iSkysoft Toolbox will help you wipe everything irrevocably including messages, chats history, applications, images, calendars. Music and movies and so on. 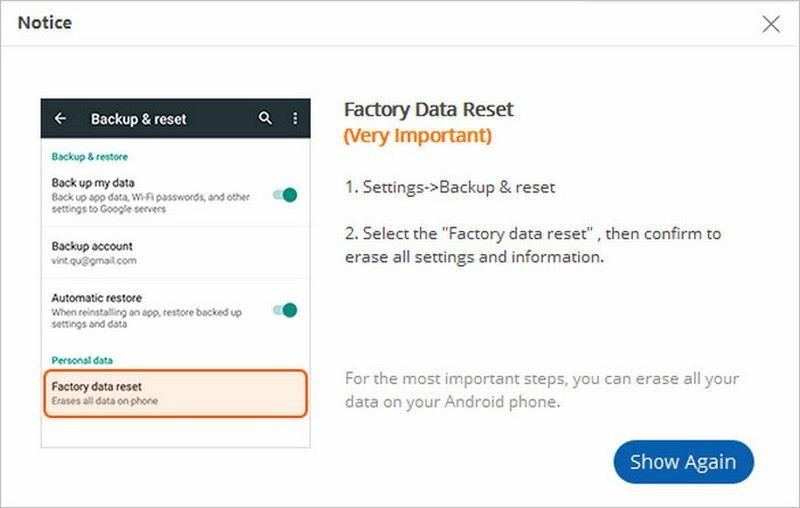 In the end, to erase all settings on your android phone or tablet, you need to tap “ Factory data reset” on android device when a pop-up message is sent to you. 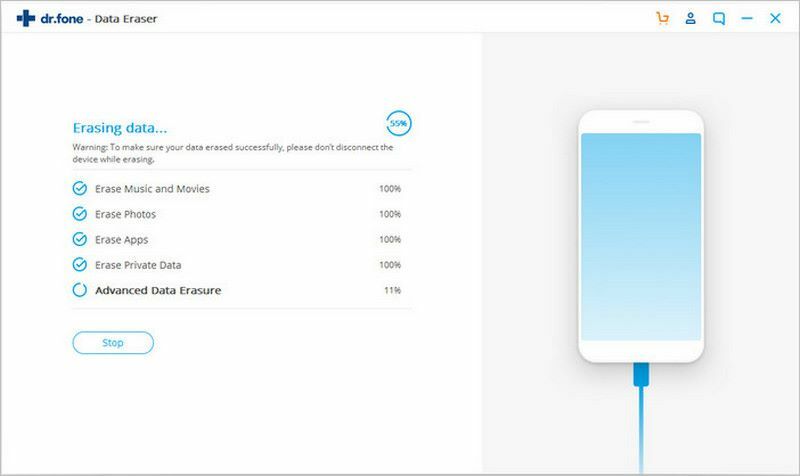 After confirming the “Factory Data reset” action, the iSkysoft Toolbox will erase all of your data stored on Android phone or tablet and it is not recoverable even though you use professional data recovery tool.